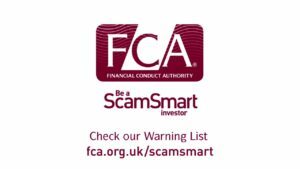 With investment scams on the rise, the Financial Conduct Authority (FCA) is aiming to raise awareness through its ‘ScamSmart’ campaign – and Hawksmoor is helping to spread the word. By sharing the content developed by the FCA, we hope to help protect our clients and members of the public from the increasingly sophisticated methods used by scammers. Recent research conducted by the FCA showed that fraudsters are targeting the growing over-55 population – because they are more likely to have money to invest. Last year victims of investment fraud lost on average £32,000 as fraudsters have employed increasingly sophisticated psychological tactics to persuade them to invest. One of the most common methods used is to pressurise investors into making a quick decision on a time-limited investment offer. The research showed that this is particularly effective because more than half of the over-55s in the survey believed that acting quickly can be the key to getting a good deal. A further reason for the scammers’ success is a conspiracy of silence – aided by potential victims. The FCA survey showed that only 63% of those contacted by what they think is a suspected fraudulent investment firm would report it or tell someone else about it. Compare this with the 84% who would report spilled liquids in a supermarket, or the 81% who would report fly-tipping in their local area, and it is easy to see why the lack of people speaking out has led to an increase in fraud. With this in mind, the ScamSmart campaign includes infographics and videos to highlight how to spot and avoid fraudulent investments, as well as information to show people how easy it is to speak out and report a suspected scam. 1. Reject unsolicited contact about investments. 2. Before investing, check the FCA Register to see if the firm or individual you are dealing with is authorised and check the FCA Warning List of firms to avoid. 3. Get impartial advice before investing.